Workers at Giacomelli's bakery in Turin, Italy, must have been stunned. There was no hint of impending danger when an explosion rocked their facility in 1785, injuring two employees. The only thing that seemed unusual that day was the flour was the driest they had seen in the bakery that year because there had been no rain in the region for five or six months. It wasn't until 10 years later when Count Morozzo reconstructed the incident for Turin's Academy of Science that the world first realized that something as innocent as a cloud of flour coming into contact with a lamp in a confined space could have serious consequences. Though the first documented combustible dust explosion occurred more than 200 years ago, and considerable research has been conducted since Count Morozzo's resulting report, the risk from small particles remains a big concern for industry. According to the United States Chemical Safety Board, there were 281 combustible dust accidents that led to 119 fatalities and 718 injuries from 1980 to 2005. In many instances, the potential hazard of dust was underappreciated or unknown, the board said. That's likely because the dynamics of combustible dust are more complicated than the fire triangle, which is the traditional focus of industrial fire prevention. Fuel, heat and oxygen are the three ingredients for a fire. Combustible dust, meanwhile, adheres to what is called the dust explosion pentagon. In addition to the three elements of fire, combustible dust explosions require the fuel to be confined and dispersed. Making matters worse, the additional dust dispersed into the air during an explosion can cause one or more secondary explosions, which can be far more destructive than the primary event because there is a greater quantity and concentration of dispersed combustible dust. The chemical safety board said its investigation of 281 incidents from 1980 to 2005 also revealed companies did not properly clean up the combustible dust. As Count Morozzo first noted, good housekeeping is essential to worker safety. Some industries, such as food manufacturing and processing, often filter the air in their facilities, ridding combustible dust and other particulates from the work environment. Others, meanwhile, remove the combustible dust that accumulates on a variety of surfaces during long periods of time, such as the fossil fuel industry. For example, as more and more coal-fired power plants are being converted to natural gas for the generation of electricity, utilities are removing the buildup of combustible dust in these facilities before making the transition. Foaming agents are ideal for encapsulating the combustible dust on vertical surfaces in coal plants. The foam can be applied to the walls, ceilings and other hard-to-reach places with the use of high-pressure hoses. Once applied, the foam travels downward, transporting the dust deposits to the floor for easy removal. Non-flammable and 100 percent biodegradable, foams can reduce cleaning time when compared to scrubbing and power washing. Horizontal surfaces, meanwhile, are more challenging. The use of explosion-proof vacuums equipped with HEPA filters are well suited for removing the buildup of dust in and around work benches as well as hard-to-reach areas, such as on top of process equipment or ceiling rafters. Powered by compressed air, these devices can be the size of large shop vacuums and portable enough to worn on a worker's back. Many can collect as much as 99.99 percent of the combustible dust down to .03 microns in non-sparking stainless steel detachable tanks. These vacuums also include vibrators to keep filters clear of clogs. On a larger scale, dry and wet vacuum cleaning solutions can be supported by using static-dissipating hoses and transport tankers with a capacity of 18 cubic yards or more. These trucks often feature selective catalytic reduction or SCR technology, allowing them to operate in enclosed facilities without the accumulation of exhaust within the building. Many also feature systems designed to provide automatic confirmation of a positive electrostatic ground connection. These systems are so sophisticated that if the grounding is lost for any reason, they will prevent the vacuum from collecting material. Possibly the most challenging locations to remove combustible dust from in coal plants are the electrical cable trays. Often made of metal, these elevated, ladder-like frames with open tops support insulated electric wires throughout a plant. The traditional cleaning process for cable trays required workers to blast water at the combustible dust that accumulated on, under and around the cables. As a result, the electricity had to be shut off because any water that came into contact with wire laid bare by cracked or rotted insulation on the cables could generate a spark and possible explosion. De-energizing every wire in older plants, meanwhile, is often problematic because multiple modifications and upgrades over the years can create a confusing maze of circuitry. 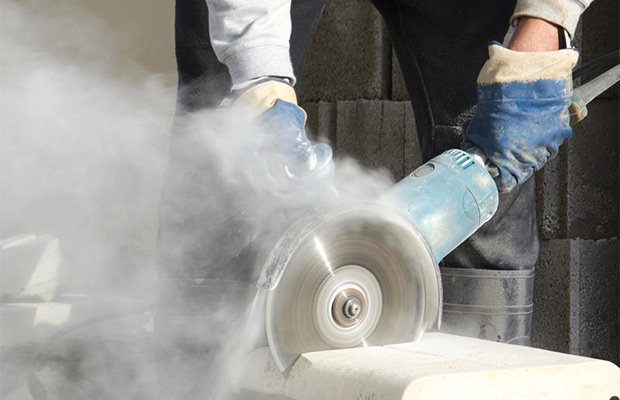 Combustible dust is any material that can burn rapidly when in a finely divided form and suspended in air in the right concentration and under certain conditions, according to the U.S. Occupational Safety and Health Administration. Even materials that do not burn in larger pieces, such as aluminum or iron, given the proper conditions, can be explosive in dust form. Examples of materials that are combustible as a dust include candy, sugar, spice, starch, flour, feed, grain, tobacco, plastics, wood, paper, pulp, rubber, pesticides, pharmaceuticals, dyes, coal and certain metals, including aluminum, chromium, iron, magnesium and zinc. Engineers, however, recently invented a single nozzle that loosens combustible dust with compressed air and safely vacuums it up in a single pass, all while the cables remain energized. Of course, the thought of blowing compressed air on combustible dust creates concerns about dispersion, one of the five elements in the dust explosion pentagon. This new technology, however, synchronizes the compressed air with a high- pressure vacuum in the nozzle inlet to remove the dust with little room for it to go airborne. Power plants can now remain in operation during the cleaning process, eliminating the most expensive aspect of removing combustible dust from cable trays, which is the lost revenue during the outage. Previously, plant managers usually had to wait for temporary shutdowns before the cleaning could occur. Now companies can stay up and running while mitigating the risk of combustible dust early and often. Foams, explosion-proof vacuums and compressed air/vacuum cleaning tools have dramatically improved industry's ability to remove combustible dust from the work place. But maintaining a safe work environment still requires the commitment to good housekeeping practices and a thorough understanding of the dynamics of combustible dust explosions -- a lesson first learned one very dry day in the Italian Piedmont two centuries ago and still very important today.